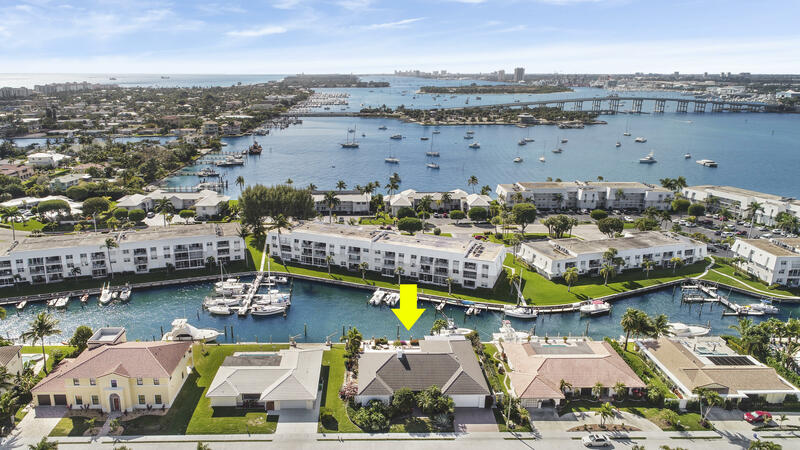 Located just minutes away from the Palm Beach inlet, this property offers crystal clear water paralleled with the Bahamas! This solid concrete house offers almost 3, 000sqft of air conditioned living space under a solid tile roof recently installed! 3 Large bedrooms and 3 full size bathrooms, hardwood flooring and tile throughout, 10ft+ vaulted ceilings, and natural light flowing radiantly through the desirable split bedroom floorplan are some of its best features. The master bedroom walk-in closet, and bathroom are both oversized in the best way, including all renovated tile work in the bathroom and built in closet systems make the master quarters so comfortable! Boat lift and dock ready for the next owners, come enjoy your weekends on the boat and by your waterfront pool! Come see today! Waterfront: Canal Width 1 - 80, Intracoastal, No Fixed Bridges, Ocean Access Yes 105ft Ft.